What does success look like for your community college for both credit students and continuing education students? How do you know when you’ve reached it? How to communicate it? Since 2004, the National Community College Benchmark Project has embraced the demand for accountability in our community colleges and helped their leaders provide reliable answers that help drive institutional effectiveness and increase student success. With the participation of our members—nearly half of community colleges in the United States—we’ve developed and perfected 150+ credit benchmarks and nearly 100 non-credit benchmarks tailored to the unique and diverse missions of America’s community colleges. We have found the NCCBP data to be most useful in preparing our Systems Portfolio for the Academic Quality Improvement Program (AQIP), our institutional accreditation pathway with the Higher Learning Commission (HLC). 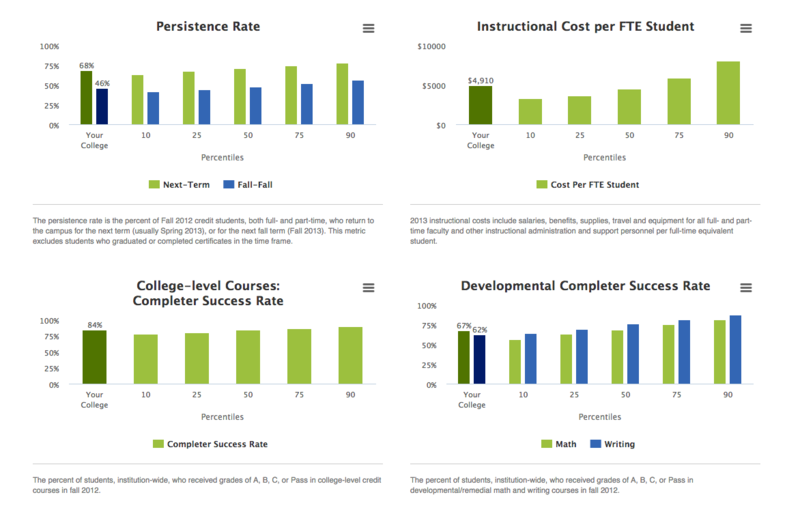 The HLC requires evidence not only of our own outcomes, but how we compare with other colleges. I know that our responses are complete because of the comparisons provided by the NCCBP.